I enjoy keeping up with what everyone else finds useful in making their own board games. So I made a list of the most popular board game pieces I have seen other game designers use. No matter what your level of game design is, you can find inspiration from this list of prototyping pieces. I have seen a wide variety of game pieces used for board game creation throughout my years. These are some of the most common. Let’s start off with a classic. Pawns of various shapes and sizes are one of the most commonly used game pieces in board game prototyping. They are cheaper to buy than meeples (see below) but serve a very similar purpose and are great for using with homemade prototypes. Pawns seem to come in many shapes and sizes. I like the looks of this type of pawn and have been trying to think of a game to use them in since I noticed these on Amazon. If you want something different than the standard shaped pawns, then these lesser known “people shaped” pawns are a great way to set you apart from the other board games out there. Meeples are very popular these days and are generally used for worker placement games (meeples usually represent the “workers”). If you want something a bit nicer looking than plastic pawns, then these wooden meeples should do the trick! There are also these wooden tokens to represent resources that would also go great with a board game using meeples. You can use these counting cubes to track items or events in your game that you wouldn’t want to track with meeples or pawns. One of the best examples of how to use these small counting cubes would be in the board game Pandemic. In Pandemic, there are 4 diseases that are outbreaking all over the world. And counting cubes similar to these are used to track the infectious diseases. If you have a tracking system in your game (such as a Victory Point tracking system), then these transparent counting chips are great. They are lightweight and effective at keeping track of people’s score WITHOUT blocking the information under the chip. My friend Mike and I noticed a problem with one of the games he was working on where our tracking system was not ordinary. Our tracking system counted out of order (1,3,2, 5 compared to 1,2,3,4 for example). And when we used a regular, opaque counting chip, our tracking system got really confusing. Players would constantly have to pick up and look under the counting chip. That is when we decided to use these transparent counting chips. You may find these blank playing cards useful and fun when you are first starting out. There is nothing wrong with using them and they are much more fun to shuffle when playtesting your card game. Though if you want to be efficient and make easy to update playing cards, then I suggest learning NanDeck. You can learn how to make cards quickly with my intro to NanDeck video. But again, these blank playing cards do just fine when you are just starting out so feel free to use what helps you the most. I remember a work party where my friend brought her child. While everyone else was out drinking at the pool, we spent our time learning how to make board games using this map. We would take turns drawing on the mat with dry erase markers. Whoever wasn’t drawing on the mat was creating character cards which were represented by a bunch of cheap plastic miniatures like these. I rate the work party 10 out of 10. Would make board games again! Short version – This board game piece makes for a great childrens art project. 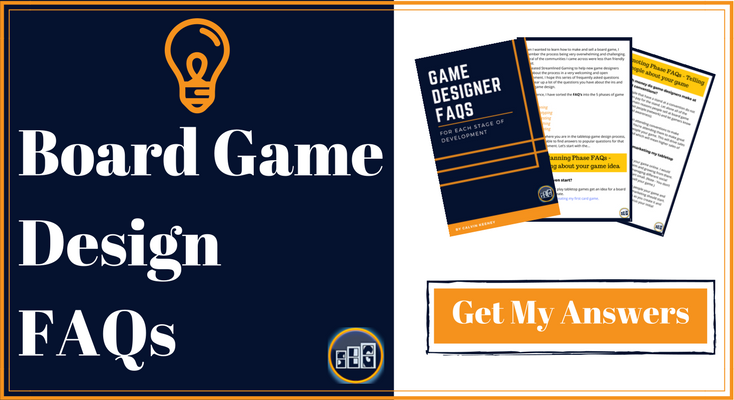 But you can also use it to make a nice looking custom board game by printing off an image at your local print shop.If you want to make your own custom board game, then this might be what you need. Long version – This is also a good product for teaching children how to make their own board game. You can draw directly on the board with crayons, pens or markers. Or you can get a little fancy with it and create an image and have it printed at your local print shop. The board is 18 in X 18 in with four 9 in X 9 in folds. So you could either print an 18 in X 18 in image and then cut it to fit the 4 folds. Or you could create four separate 9 in X 9 in images and glue them on. Most people use a spray adhesive like this to glue the paper to the board if you decide to go that route. Though if you are not ready to make such a permanent decision, then Ely recommends using these flat clips to hold your image in place. Additional Use Recommended by our Audience – Mike says he and his wife made his board game prototype by gluing a picture to his blank game board. Then “laminating” the board with clear packing tape (his wife’s idea). Mike said this helped his prototype hold up to the normal wear and tear of playtesting. These blank dice are pretty awesome when you are wanting to make your own custom dice. My friend Mike used colorful blank dice like this for his board game prototype. He then took that board game to a major gaming convention to playtest it. We had a lot of fun that weekend and it was exciting to show off his prototype. Mike and I assembled his blank dice by writing on blank circular labels like this with a sharpie. They looked great and worked pretty well. It was a bit time consuming because we had to cut part of the label off so it would fit on the die, but the end result made a nice looking prototype. I would probably even use these cool blank stand-up pieces without drawing on them. The colorful bases at the bottom are perfect for telling players apart when playtesting my prototypes. If you are into the art side of game design, then these would be put to even better use by you. I don’t create a lot of games that involve player movement/tracking. But if I start working on a prototype like that, then these would be helpful to have around for just that. I have found it helpful to have a nice set of dice around for making my game prototypes. One time I had an idea for a new dice game several years ago. I wanted to have players level up their characters and become stronger as the game went on. I used a set of nice dice like this to “level up” the characters. When a character leveled up their attack power, then dice would be added or upgraded to their dice pool. It worked really well for this purpose. It is also similar to the set of dice I used when filming the 3 game ideas in 3 days challenge. If you prefer having many dice over a nice set of dice, then you can check out this “Pound-O-Dice” deal from Chessex (a top dice manufacturer). Or you can just find what dice you like by browsing here. A lot of party games use game timers. The red game timer above is about 90 seconds long. But if you are wanting a variety of game timers then you might like this assortment of sand timers for board games. The varieties of timers in the image above are 30 sec, 1 min, 2 min, 3 min, 5 min and 10 min. And who doesn’t need a little bit of play money to finish out your board game prototyping collection. Many board game prototypes can make great use out of play money. 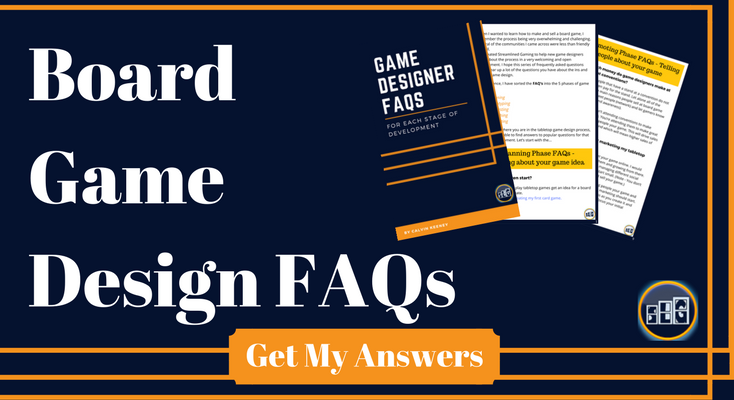 After you have a set of play money all you will need to do is get to playtesting your board game to find the right balance of money that players will need. What Board Game Pieces Do You Use for Prototyping? I know there are many more awesome game pieces to make your game. But what are your favorites?